There have been no updates recently (last 4 days) as i have excused myself and went for a (birding) trip...I know its been anxious and readers were waiting for the ever puzzling Monsoon update. The Monsoon anxiety is "self confusing" and need not be puzzling, as it seems the South West Monsoon is following our schedule date. The South West Monsoon arrival has been announced by the Sri Lanka Met Dept. on 25th May. There were quite heavy showers in Sri Lanka on 27th May, many places getting more than 100 mms, including Colombo. So, from vagaries, I would say that the Monsoon has established itself over Sri Lanka on 27th May 2016. Monsoon has also advanced into the North Andaman Sea. For Advance along West Coast, all parameters are now getting favourable. What parameters do we look at now ? 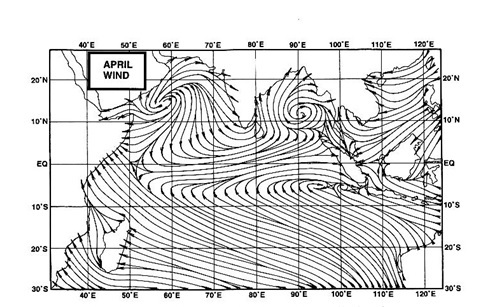 The height of the West-South West winds, The speed of these winds, The OLR readings in the south-Central and South East Arabian Sea, the Upper Troposphere Humidity and of course my favourite, the 200 hpa jet streams. From current developments, it is possible that the South West Monsoon may advance into Kerala around 4th/5th June.Quick advance along Karnataka Coast is possible thereafter. Pre Monsoon Thunder Showers likely in Mumbai and North Konkan from 4th-6th June.Light rains from isolated passing clouds likely till 4th in parts of Mumbai. Pune can get its pre Monsoon Thunder Showers from 1st/2nd June. Vjayanand: Glad to note of good rains in B'Lore. Ananth/sset: I think everyone is particular and careful while posting in Vagaries. I said what i saw was a ceaseless pattern in SSET comments in last 4 years , If you deem SSET is correct in his postings, i will end by saying its ultimately your call. Welcome back sir and thanks for clearing cloud of uncertainty and puzzling atmosphere created in your absence :-). Sir, when Nashik get its pre monsoon showers? Very good updates Rajesh. I wanted to know monsoon forecast for north west Rajasthan i.e. places like Bikaner, Jodhpur and for state of Haryana as one of my friend wanted to invest in agro product. sir IMD has not yet shown advancement of SWM over sri lanka is there any reason considering norms of establishing monsoon has already been met I guess. sir your views on this because when we see monsoon section IMD does shows 18-30 MAY monsoon coverage area but sri lanka is left out and not yet covered. rajesh sir, i have referred to some forecasts which say that heavy rains are possible in mumbai and konkan including southern gujarat from 9-12th june.do you agree?what's your forecast? Nilesh:I see pre monsoon rains along the coast till Mumbai starting around 4th June. We may presume at that rate Valsad should see pre monsoon showers a couple of days later. shivkumar Mogul: Nasik region can get pre monsoon showers after 3rd June. Nilay: Imd does not show the Northern Monsoon Limit touching Lanka, but the Lanka Met Dept has declared " South West Monsoon Conditions" over the Island. According to Vagaries, the conditions and criteria have been reached. abizer: Yes abizer, as we see the thunder showers commencing around 4th or 5th, we see an increase in rainfall gradually and i would say if the rate is maintained, the Monsoon can arrive around 13th. Thunder showers will creep upto Gujarat coast after the 7th. Ananth: I have also addressed the comment to sset. No question of my " taking a call" or not. Whatever he writes, has to be reasonable and correct, and i have written to him previously also to give pratical facts and events correctly. from last 5 days Jabalpur and surrounding area is witnessing thunder showers . Max Temperature is under 40C .Today Max is 37.8 & Min. is 23.4 .
is it premonsoon rain ? When monsoon touche MP & Vidarbha . Thank you sir, means a week more to get rains! !